8 #Virushka Moments That Will Make You Fall In Love With The Couple. 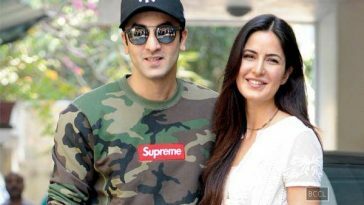 . .
From red carpets to cricket tours, the couple loves to be in each other’s company and together they are giving us major relationship goals. There are a number of cricketers who found their love in bollywood, but the beautiful love-story of hottest cricketer Virat Kohli and bollywood’s queen Anushka Sharma is special and different. Virat and Anushka first met each other in 2013 during the shoot of a commercial and after that they were spotted together frequently on various events. The couple tried to keep mum about their relationship but it wasn’t that difficult to guess that they were dating. From red carpets to cricket tours, the couple loves to be in each other’s company and together they are giving us major relationship goals. Here are some awwwdorable #Virushka moments that will make you fall in love with them. Anushka came to cheer up Virat in a match against Sri Lanka in November 2014. 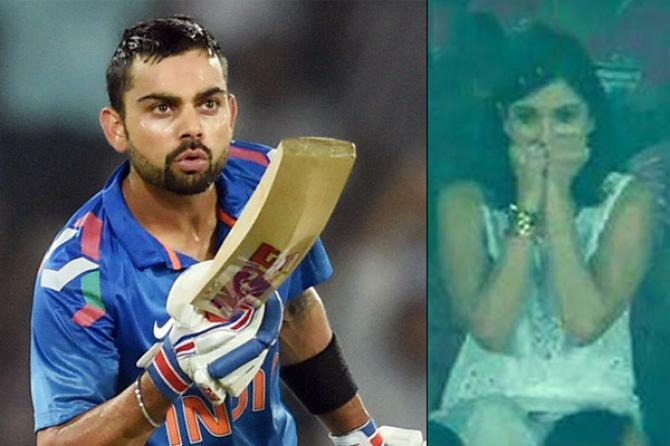 After achieving a milestone in that match, Virat (being a typical punjabi lover) blew a kiss with his bat to anushka who was in the stands. Though everybody knew about them but this kiss was more like an open acceptance of the relationship. 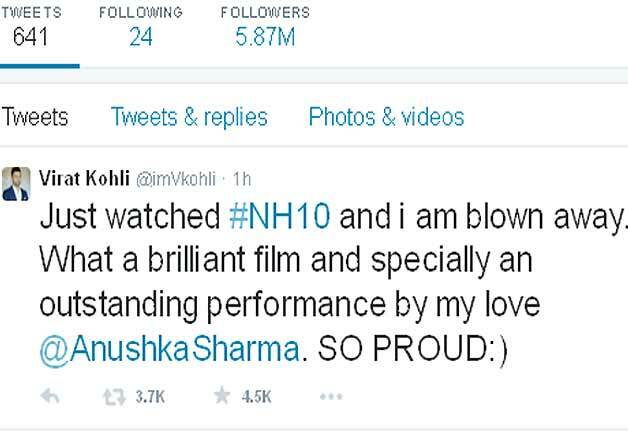 Just after the release Of Anushka Sharma’s NH10, Virat had all the praises for her performance in the movie and he expressed all his love on twitter. Virat and Anushka made their first red carpet appearance together at Vogue Beauty Awards in July 2015. 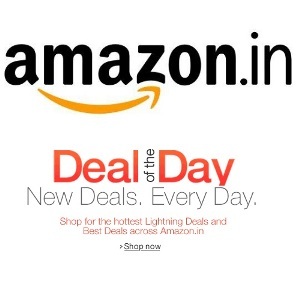 Anushka was spotted in a light yellow gown by Gauri and Nainika while Virat looked dapper in a black suit. 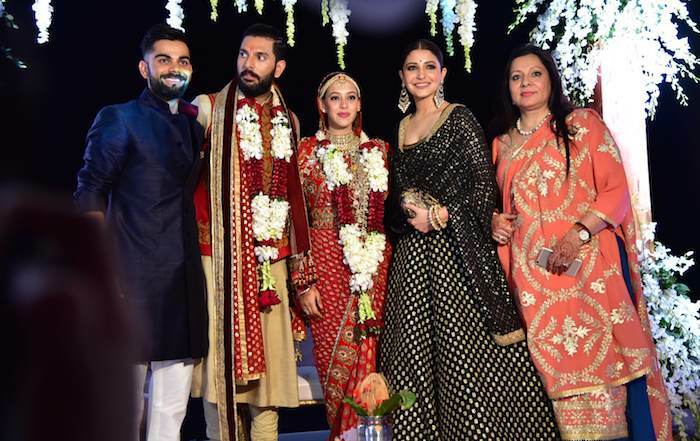 The couple happily posed for the shutterbugs and when Anushka was asked about her handsome companion, she said: “He’s my very, very good looking arm candy”. The couple shared candid moments and enjoyed the event. Later on, after receiving ‘Beauty of the year’ award, Anushka shared the compliment she got from Virat, who said she looked like a nimbu referring to her gown. Whenever Virat performed badly, people would blame Anushka for his bad performances. 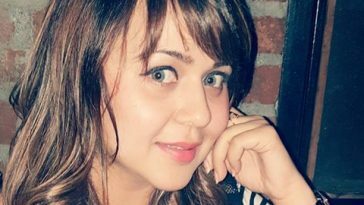 Trolls and memes took over social media and shamed Anushka for anything which was related to Virat’s performance. 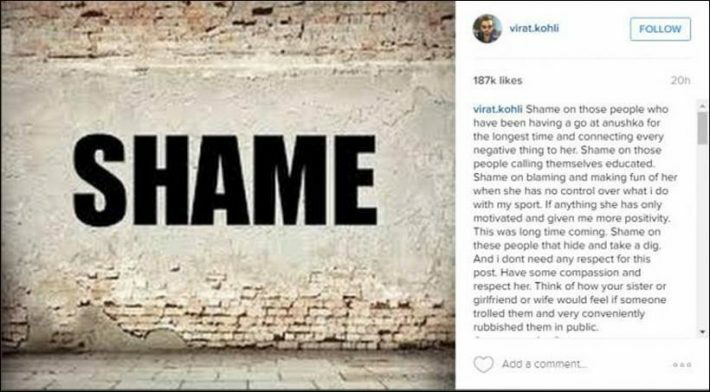 We were not surprised when Virat posted a long message on Instagram shutting all the trolls on Anushka. 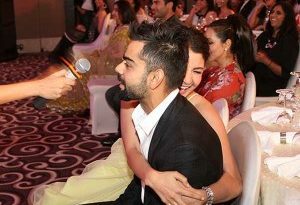 The message was strong and the way Virat backed his girlfriend, he earned a huge respect. No wonder he is called as the perfect boyfriend! 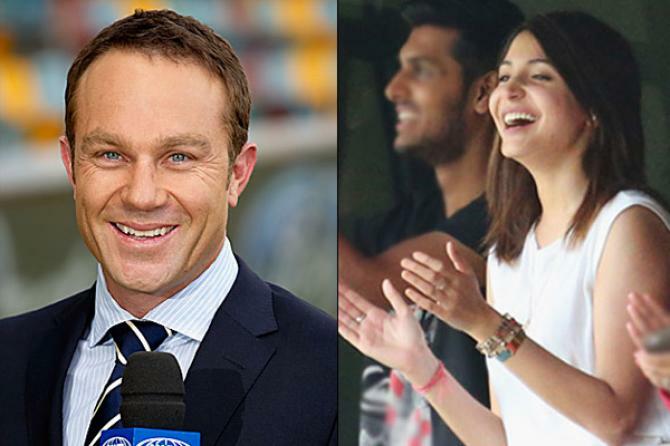 A very cute thing happened with the couple, when Australian commentator, Michael Slater, addressed Anushka Sharma as Virat’s wife mistakenly. The incident happened during the final day of the third test match between India and Australia on December 2014, in Melbourne. 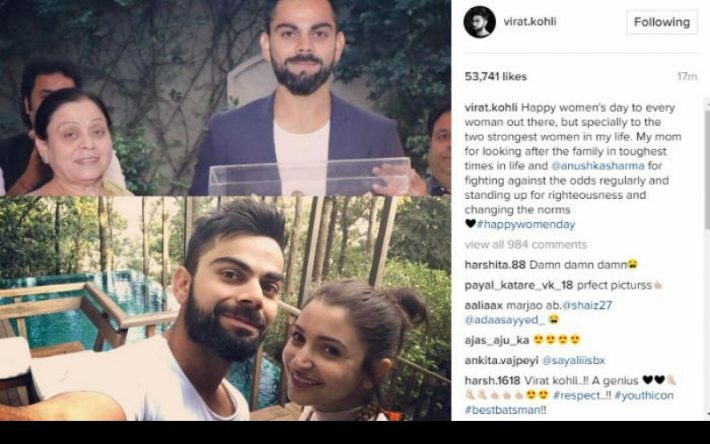 Virat has given us so many reasons that justifies his love for Anushka Sharma but this Women’s Day wish was special. Virat wished his mom and girlfriend on International Women’s Day and called them two strongest women in his life. This one Instagram post made us smile and look at the sweet pictures he shared with the two ladies. More power to you…Virat Kohli. The cute couple has one again made headline with their latest PDA on social media. Virat posted a picture on social media and captioned it saying “I am not breaking the beard yet” to which Anushka instantly replied like a typical girlfriend. The conversation went viral and once again they both took our hearts. That’s why we are so much in love with #Virushka.